Continuing on with our pottery story, which we have posted about a few times (for example here), we have been busily engaged in reconstructing pottery, both in order to illustrate it and to include it in next year’s exhibition at the SCVA. 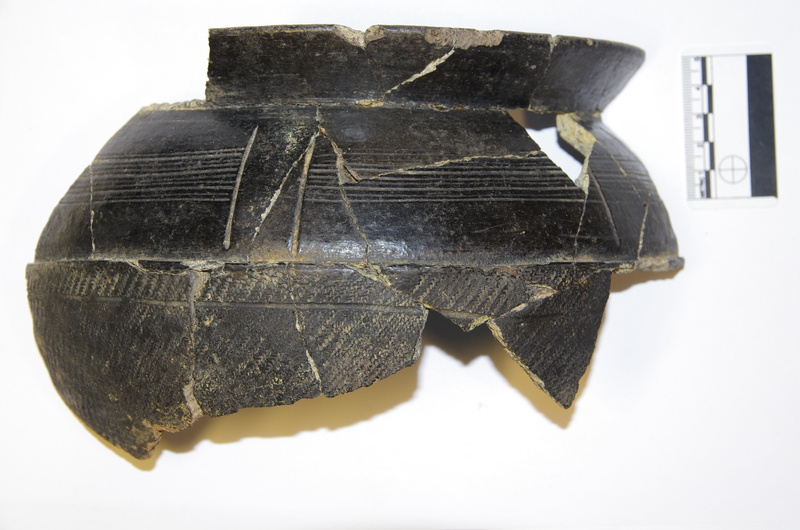 We previously showed a couple of images of pots which were recovered intact from the excavations, but there are also a whole range of pots which are broken but can be pieced back together with care and attention. 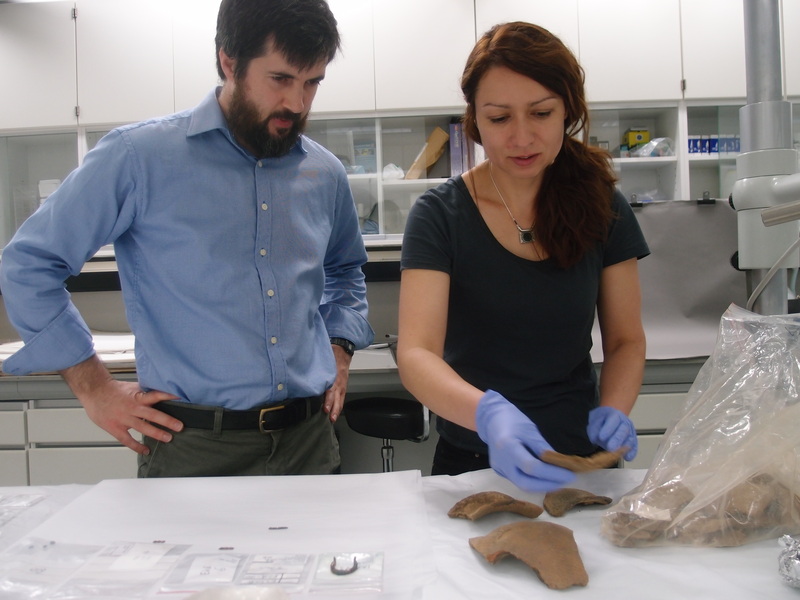 This process is being coordinated by Stefka Bargazova of the SCVA conservation laboratory and has also involved others on the project, including Louis Champion who was working away at this throughout April and May as part of his MA thesis. Refitting pots often involves using some fairly common sense approaches and basic materials (including masking tape! 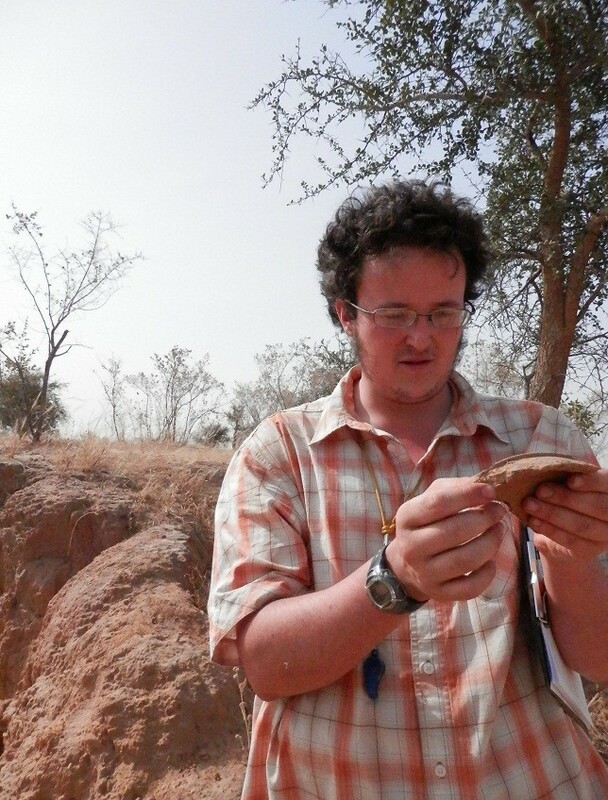 ), but Stefka’s skills as a trained ceramicist have proved invaluable in the reconstruction process which is not always so simple. 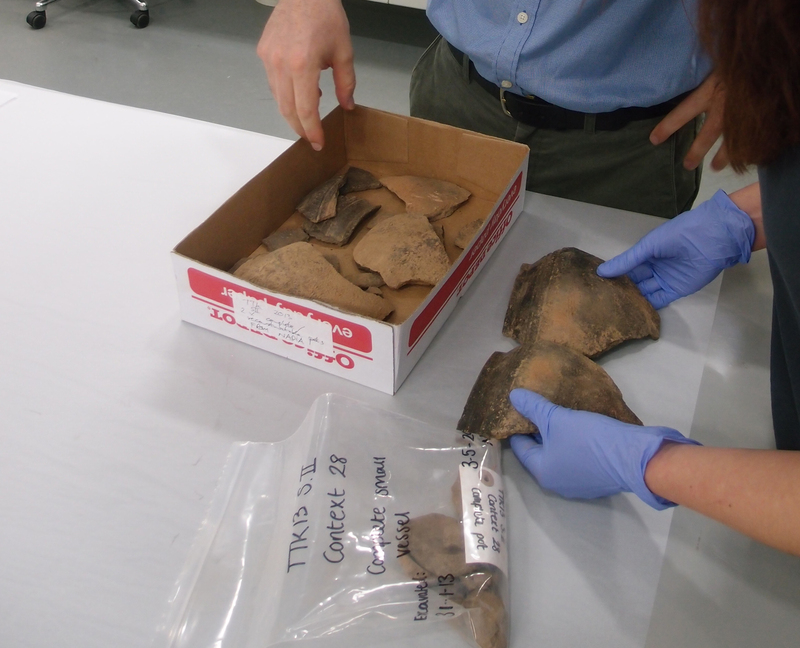 The procedure becomes particularly complicated when the pieces of pottery being put back together are very small and worn – not exactly like working on a jigsaw puzzle, but similar! 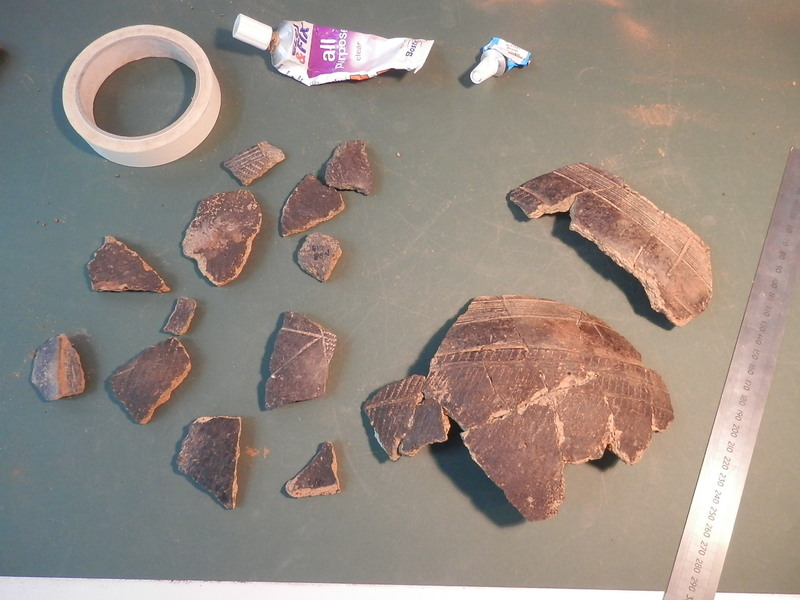 Some of the pots can only be partially reconstructed; it’s likely they were already broken when they were included in the archaeological record. Below is Louis’ ‘Pot 11’ from Tin Tin Kanza. 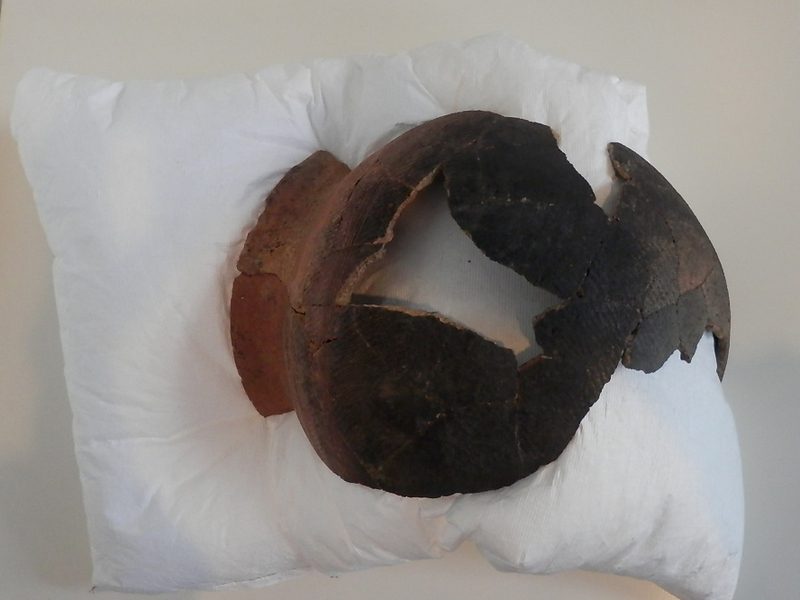 It is 22 cm in diameter and decorated with burnishing, incision and folded strip roulette (like this sherd from Jenné-jeno in Mali). Other examples, on the other hand, are wholly reconstructable, indicating that they were whole at the time when they entered the archaeological record. Such pots mainly appear to have been broken during the collapse or destruction of houses: that is to say they were complete vessels sitting inside the house which were crushed when it collapsed. None of these ‘complete’ pots to show you yet, but more anon! Has anyone thought of photographing pottery shards that need to be reconstructed and offering them to the public as a jigsaw puzzle? It would engage people who enjoy puzzles and archeology and possibly be of assistance to the archeologists on the project. Realizing that some pieces would be missing, the puzzles should include representing those pieces. Just a thought. Thanks!